"Cathy is a very knowledgeable resource for coding and billing issues for my physician clients. She researches my clients' issues and provides timely turnaround and reports. 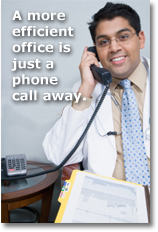 I have found Cathy very easy to work with and so have my physician practices." HealthCare Resource Management, Inc. is a professional health care consulting organization assisting physicians and administrators/managers with the business aspects of managing their organizations. We focus on maximizing reimbursement while maintaining compliance. We help providers, coders and billers keep up to date and compliant with Medicare coding and billing regulations. Areas of expertise include business operations and management, revenue enhancement, cost control, practice evaluations from the front office to the back office, medical record documentation reviews , baseline chart audits for compliance plans with ongoing coding monitoring and education, chart audits, coding reviews, customized coding seminars and education.